Zhengzhou CamelWay Machinery is an excellent concrete batching plant manufacturer, and the company has many types of concrete mixing equipment for customers to choose. Zhengzhou CamelWay Machinery manufacture produces tower cranes,skip elevator, double drum hoist ; two-drum hoist,concrete mixing stations,JS concrete mixers, portable concrete mixer, forced concrete mixer, twin shaft concrete mixer, double shaft concrete mixer, compulsory concrete mixer,mobile concrete mixer, sicoma planetary concrete mixer, planetary concrete mixer, biaxial forced mixer, ready-mixed concrete mixer, concrete batching machines, wheel loaders,concrete tank truck, and other construction machinery. 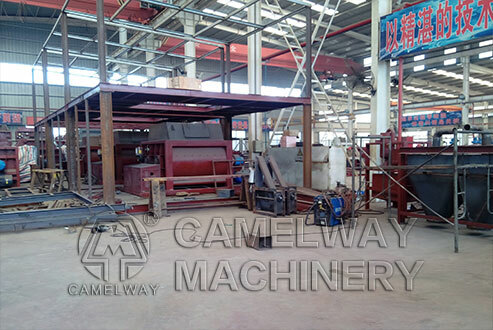 Zhengzhou CamelWay Machinery manufacture has an extensive user base in the country, enjoying a high popularity. Some products are exported to Vietnam, Laos, Kazakhstan, Mongolia, Russia, Cuba, Brazil and other countries, being highly praised by foreign friends. If you want to know more information about the concrete mixing machine, you can contact us. This entry was posted in Solution and tagged concrete mixing machine by camelway. Bookmark the permalink.